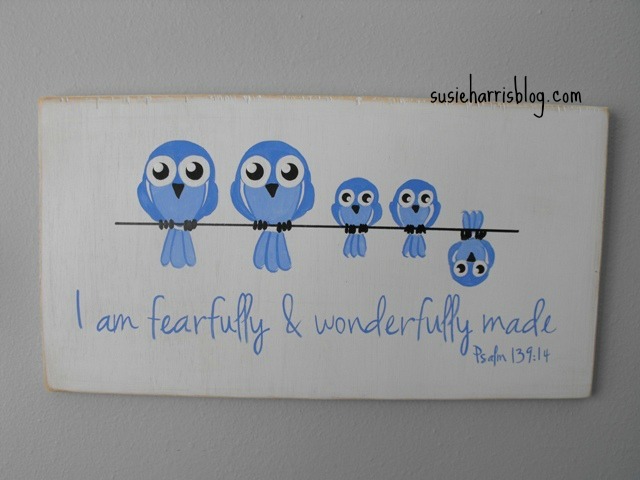 Susie Harris: I am fearfully & wonderfully made! 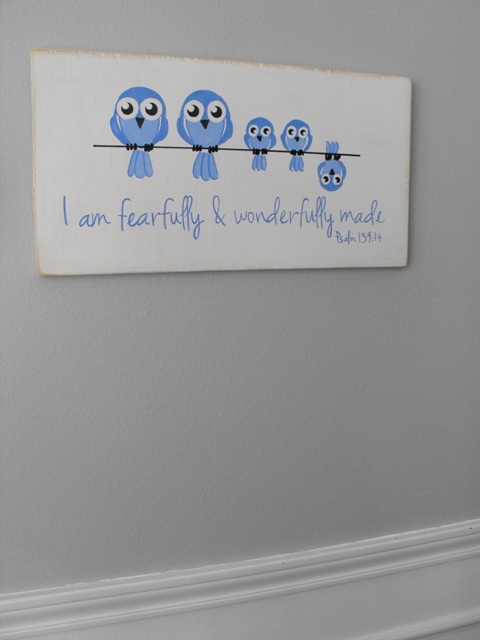 I can't help but to laugh every time I see this painting. I painted it last night and finished it up today. 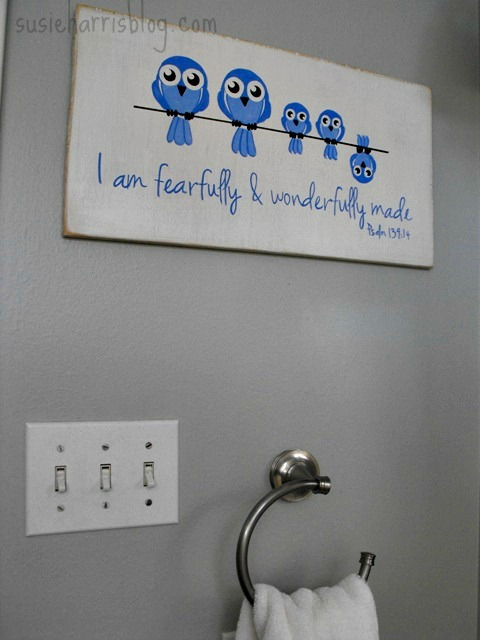 Thought it would look cute hanging in Maddy's bathroom. For some odd reason, I have flashbacks of our past family photo sessions. They just keep getting funnier.. LOL? Having three kids, ya just don't know what you'll get. Last year I wasn't up for the challenge of a "family photo"
I'm so sorry now I didn't. That year will never come back. Family photos must go on! 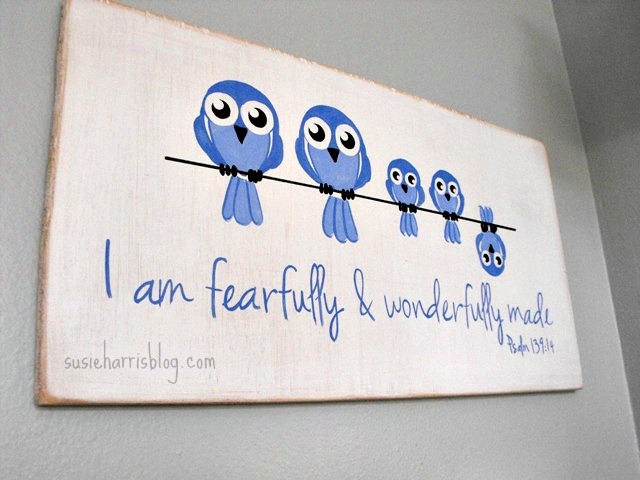 cute, I can see this sewn up on a hand towel too! I agree, family photo's can be stressful, especially with teenage girls involved, (at least at my house)!! The kids are grown now and we have grandchildren, even more people to try and get a picture of. But I love them, and I love the old pictures I have of grandparents and great grandparents. Photos are such a treasure, now and for many years to come. I want that sign!!! It's the cutest thing I have EVER seen! !